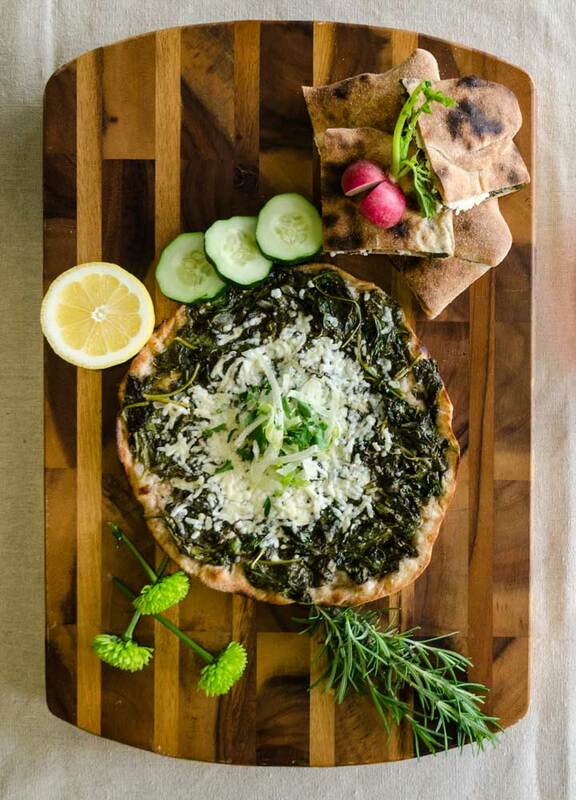 Our pizzettes are baked fresh on pita dough. Make it a "Pie Delight" with your choice of hummus or baba ghanouj topped with lettuce, tomato, Lebanese pickles, banana peppers and house dressing for an up charge of $2.59. A perfect blend of mozzarella, Swiss and provolone cheeses, garlic, sesame seeds and a touch of parsley. Lean ground beef mixed with parsley, tomato, onion, garlic and spices. Fresh spinach, onion, feta cheese, garlic, and spices. Fresh tomatoes, green olives, a three cheese blend, garlic and parsley. Thyme, sumac, sesame seeds, and olive oil. Chopped dried figs, fresh mint leaves, a 3-cheese blend, and topped with feta cheese and toasted sesame seeds. Sliced mushrooms, caramelized onions, a 3-cheese blend, garlic whip, and toasted sesame seeds. Choice of beef/lamb or chicken shawarma, pickles, tomatoes, a 3-cheese blend, garlic whip, sesame seeds, tahini sauce.